The Town of Windsor (population 25,000) is a rapidly developing unique community in Weld County between the foothills and the plains of eastern Colorado, strategically located between Fort Collins, Loveland and Greeley. Windsor features several great golf courses, parks, bike trails and much more to enjoy the Colorado sunshine. Old Town Windsor captures the charm of a small town with many locally owned restaurants and shops. 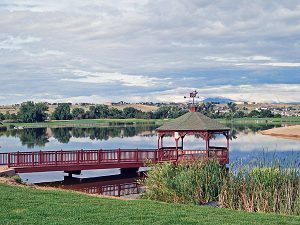 Two subdivisions in recent years have changed the face of Windsor, providing numerous amenities and conveniences for the Colorado lifestyle– Water Valley and Highland Meadows.